NO. 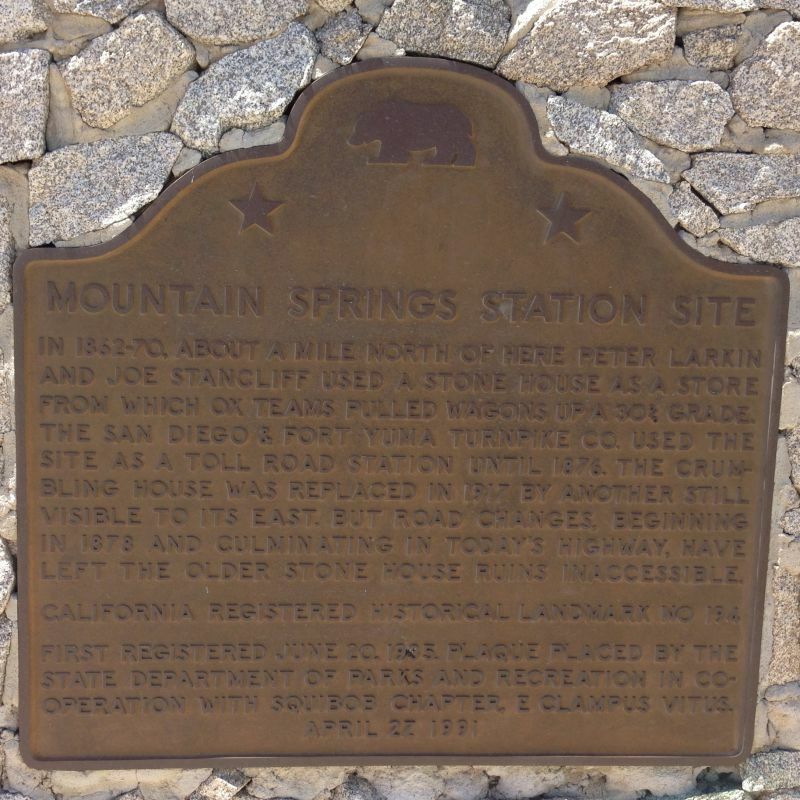 194 MOUNTAIN SPRINGS STATION - From 1862-70, Peter Larkin and Joe Stancliff used a stone house about a mile north of here as a store from which ox teams pulled wagons up a 30% grade. The San Diego and Fort Yuma Turnpike Co. used the site as a toll road station until 1876. The crumbling house was replaced in 1917 by another still visible to its east. But road changes, beginning in 1878 and culminating in today's highway, have left the older stone house ruins inaccessible. Site is 200 ft W of westbound lane, I-8 (P.M. 2.3), just N of Mountain Springs Rd, 2.3 mi E of county line, Mountain Springs. 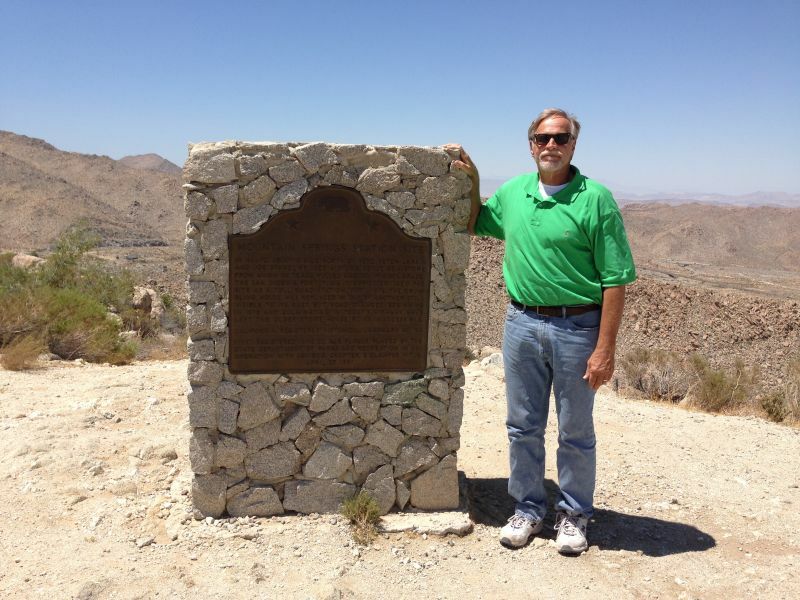 Plaque is located adjacent to Desert View Tower, approximately 100 yards distant from the Desert View Tower landmark plaque.